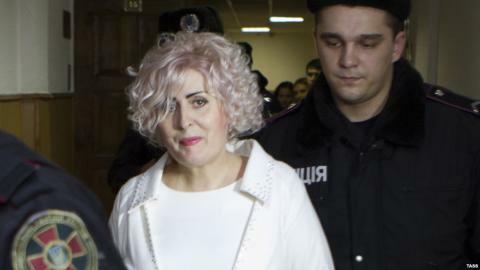 According to the decision of Chervonozavodskoy district court of Kharkiv, the period of detention of Slavyansk former mayor Nelly Shtepa was extended until December 19th. The court decided a motion of representatives of the Prosecutor’s Office and took into account the expiration of the preventive measures on October 23. On October 21 during the meeting the representatives of the prosecutor’s office said that the court should extend Shtepa’s detention as the current legislation does not provide for other measures in her case. The prosecutors also pointed out the risks that, in their opinion, exist if release the defendant from custody. 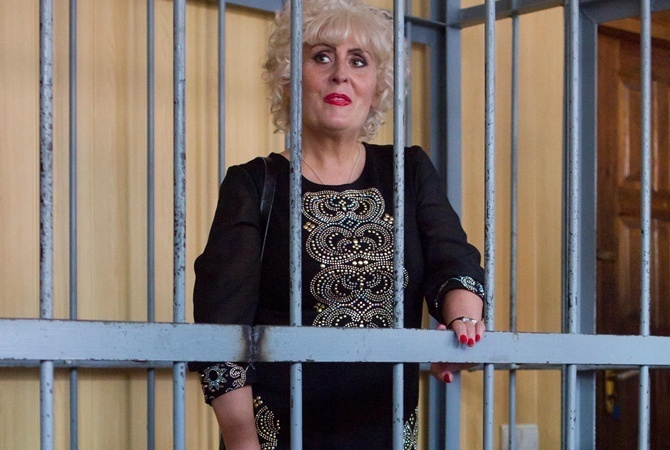 In particular, that Shtepa can influence witnesses and hide from the trial. The defenders of the ex-mayor petitioned for her release from custody and emphasized that risks voiced by prosecutors are unfounded and does not supported by the facts. During the hearing the court interrogated two witnesses for the defense of Shtepa. The court decided to declare the hearing adjourned until November 6. The break was announced to call at the hearing other witnesses for the defense. Recall that Shtepa was detained in July 2014. On October 8, 2014 she was announced about the final suspicion of committing crimes under Part 3 of Article 110 (violation of territorial supremacy and integrity of Ukraine which led to the death of people) and Part 1, Article 258-3 (creation of a terrorist group or organization) of the Criminal Code of Ukraine. According to the General Prosecutor’s Office of Ukraine, the ex-mayor of Slavyansk faces life imprisonment.